How to Make Pesto Modenese - The Co.
Pesto modenese was one of our favourite traditional dishes in Modena, in the region of Emilia-Romagna. Also known as pesto alla modenese, I first tried it when writing the Modena Culinary Travel Guide and I really wanted share with Dave how to make pesto Modenese as it’s based from cured pork. It’s not quite like your traditional pesto, or even chimichurri; pesto modenese is a spread of lardo, garlic and rosemary. In Modena, it’s often served on tigelle, borlenghi or piadina and topped with parmesan but really can be served on any kind of warm bread. In fact I had some on bread for breakfast this morning and it was so dense I didn’t need to eat for 5 hours. It would also be divine spread over resting meat. Traditional pesto modenese combines lard with garlic and rosemary but we put our own spin on it using this lardo recipe and our back deck herbs. Some people also like to add parmigiano-reggiano bacon or sausage into it. 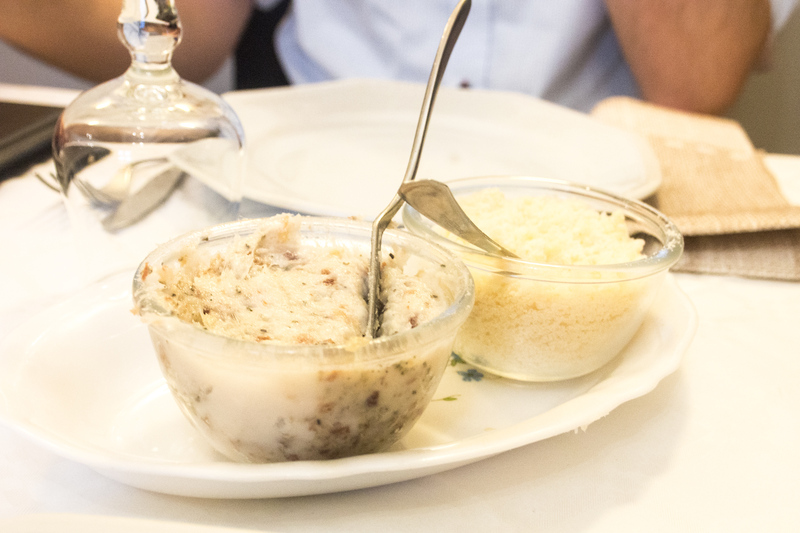 You’ll also find this dish in the Emilian Apennines where it’s called cunza. Once you have pesto modenese you’ll never want to go back to butter on your bread. This is an excerpt from the article How to Make Pesto Modenese which originally appeared on http://www.baconismagic.ca/.